Between prospecting for new clients, keeping up with monthly bills, and taking care of all of your other responsibilities, it can be easy to forget about some of the more obvious aspects of running a successful data center. Regardless of your intelligence and experience, your data center can quickly begin to fail if you stray away from the basics. You can have the best server racks in the world, but they're worthless without the right server rack enclosures. You can have the cleanest data center on earth, but your equipment will still fail if it's too hot in your building. 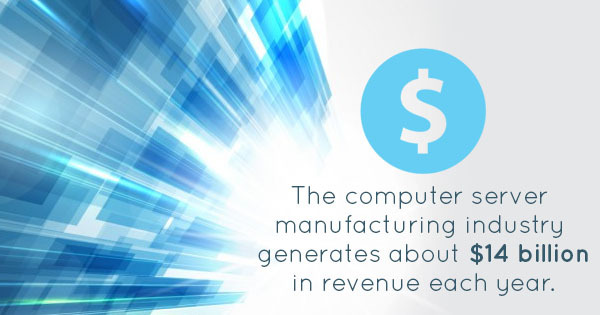 The computer server manufacturing industry generates about $14 billion in revenue each year, so it's safe to say that there is more than enough quality equipment floating around as of this moment. Therefore, you should never waste your hard earned money on brand new equipment. Instead, opt for used server racks or refurbished server racks. They provide the exact same functionality at just a fraction of the cost. Depending on the specific needs of your business, there will be some ancillary equipment you'll want to invest in. For example, most data centers require used server racks due to the large number of servers they juggle. A single 19- or 23-inch rack should accommodate anywhere from 42 to hundreds of servers, so always make sure you know what size you need before purchasing. Also, remember to invest in server rack enclosures, universal rail kits, and other essential tools that support your server racks. Technology continues to advance by tremendous strides, but the basics of the computer server industry will never change. One of these basic principles of operating a successful data center -- temperature control -- is absolutely mandatory. According to OpenXtra, server room temperatures should never dip below 50 degrees Fahrenheit, and should not exceed 82 degrees Fahrenheit. Plus, your data center needs to remain clean at all times or dust can completely halt your operations. There's no specific rhyme or reason to being successful, but sticking with the basics will always give you the best chance of succeeding. Keep these three tips in mind and invest in the right type of equipment to reach your full potential.